This is my first blog post on a technical subject. Hence it may have its own deficency. First let me thank my buddy ERSHAD.K (as he is the soul reason behind the publishing of this post), SMC, HIRAN VENUGOPAL(developer of DYUTHI.ttf), and the software fontforge, inkscape. The situation which made me to publish such a blog is the overlapping of certain malayalam fonts in inkscape, whereas some other fonts (like anjalioldlipi, dyuthi). 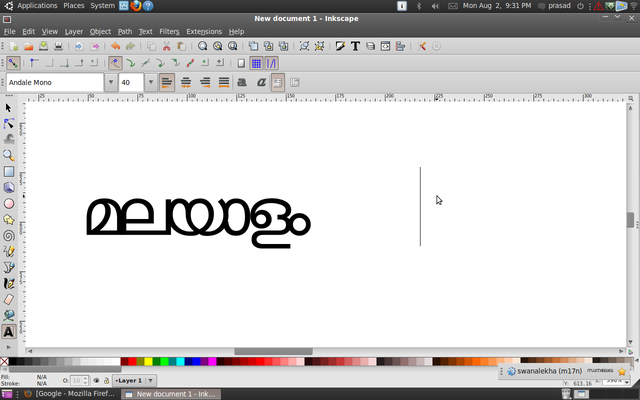 When there occured a situation for me to use stylish malayalam fonts in inkscape. Atlast I decided search the reason for this. . . I was using Mozhi And Swanalekha for rendering malayalam. I thought it may be the problem with the lack of cordination between inkscape and those softwares. Hence I studied inscript pattern. Still there was no use. No matter how you render the letters will be overlapped(only for those fonts with probs). 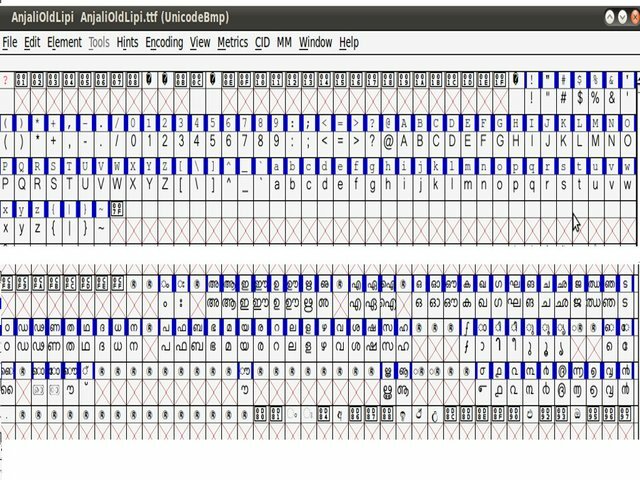 Hence I opened the fonts in fontforge. Fonts like anjalioldlipi, dyuthi etc. has drawn letters under each unicode both in english and malayalam. But the other fonts haven’t provided drawings of letters in both. Most of them have given drawings of malayalam letters in english the place of english letters viz, A=അ or in some other ways. 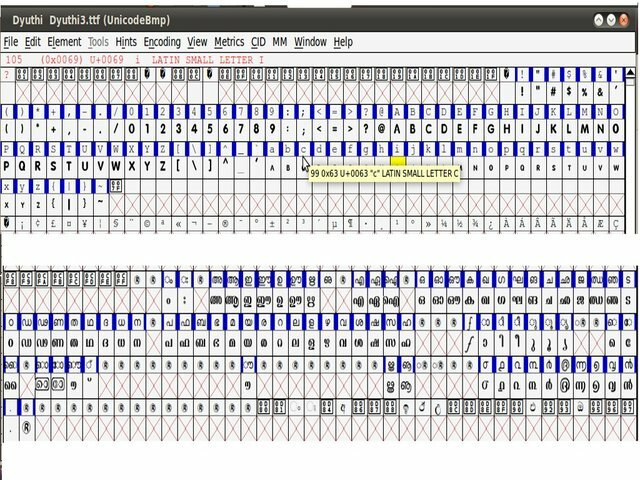 When I render the English alphabets in those fonts the corresponding malayalam letters are apperaing. Hence i concluded the problem with those fonts. But agian the font Meera which had given drawings in both English alphabets and malayalm alphabets overlaps in inkscape, for which I dont have an answer for you. PS: Anyone knows the reason behind this or my reason behind this is wrong please tell me. Posted in Info and tagged Anjali Old Lipi, Bug, Dyuthi, Fonts, Inkscape, Malayalam, Meera, Mozhi, Swanalekha. Bookmark the permalink.